In the participatory and community arts there is rarely a time, or an occasion, where the hard work of art practitioners and leaders is recognised – or rewarded. 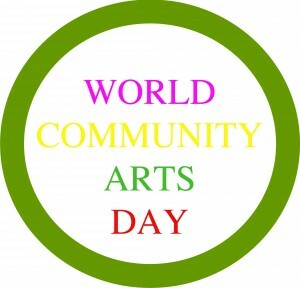 However, the time has come for World Community Arts Day, a day dedicated to sharing the love or participatory and community arts, is arranging a nationwide activity to encourage the public to get artistic and show their appreciation for community artists. On the 17th of February 2012 volunteers are wanted to help collect materials and encourage people to use their wonderful minds and creative fingertips to design their own special cards for their own special community artists. Attendees are asked to attend the Carnegie Community Centre on the 16 February, a day before the event itself, to cut our recycled materials and start making the cards. Materials aren’t necessary (as it will be provided on the day) but enthusiasm is – so get creative and show your great community artists what they’re worth. The activities, taking place at the Media Cafe and Carnegie Community Centre, Downtown Eastside of Vancouver, is open to the public with welcomed suggestions of who should be awarded the card. However if Downtown Eastside is too far for you to travel don’t let it deter you. Why not start your own card-making event in tribute to local community artists.